Son of Mrs Margaret Bannerman and William Bannerman of 27 Mill Rd, Waimate. William and Margaret emigrated to Port Chalmers in 1894 on the ‘Gothic’. With them came seven children: Jane, George, Patrick Alexander, John Charles, Herbert Douglas, Henrietta Sarah and William Young. Edmund went to Mornington School, Dunedin from 1895 until 1897 when the family left the district, probably to go to Waimate. William served as the head teacher at Waihaorungna School from 1908 to 1909. He died in 1913 and Margaret died 1937. They are buried in the Timaru Cemetery Row 33, plot 206. Edmund's name is also included on their gravestone. Edmund was a carpenter with the New Zealand Railways and enlisted in Wanganui, joining the Wellington Infantry Battalion. He landed with the Anzacs on 25th April and was killed in action on Walker's Ridge, Gallipoli. He has no known grave. 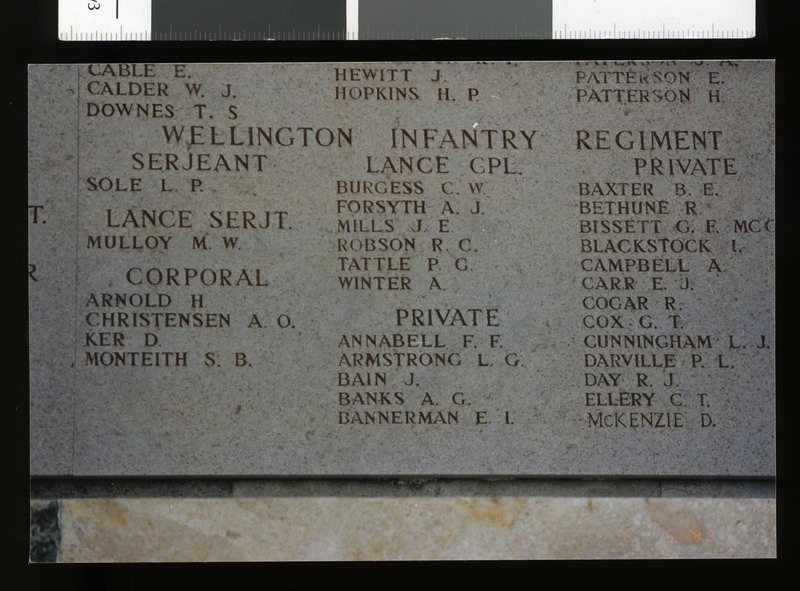 Edmund’s brother Herbert Douglas, a school teacher in Rarotonga, was in the reserves during World War One, and later atight in Timaru and St Andrews. Herbert married Islay Mclean in 1910 and their son, Douglas Robert Bannerman (b.1912), signed up for World War Two, dying on 21 December 1942 while serving with the Royal NZ Air Force.